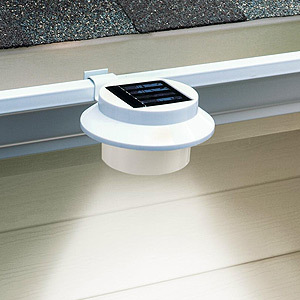 Brand new 3-LED solar powered gutter light is great for creating long lasting brilliant light during the night without wires or extension cords. 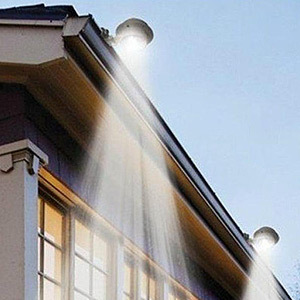 Easy to set up and maintain, simply attach it on your gutter, fence or wall and it will light the way perfectly. It charges by day and turn ON/OFF automatically when the sun rises and sets. You won't need to do any wiring to install the lights in your yard, driveway or walkway. Produces brilliant white LED light that can illuminate any exterior area such as entryways, walkways, gardens and patios. 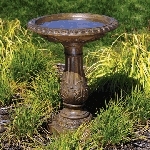 Features: Solar powered white LED light. Weather resistant housing. No wiring or electricity installation required. Eco friendly white ABS and white painted metal installation bracket. Stick them outside in the daytime; use them for interior lighting at night. 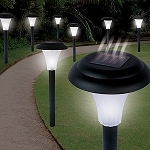 Keep pathways and yards safely lit at night using this practical decorative cordless light. 4-6 hours of solar charging provides over 10 hours of lighting. Note: always switch "ON" while charging and in use. Dimensions: 4.75 in x 2.25 in. Weight: 3.5 oz (with battery). 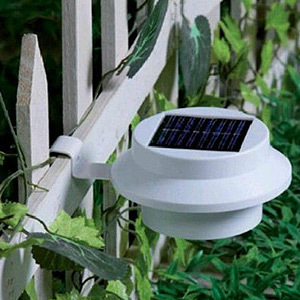 Package Contents: 1x 3-LED Solar Lamp (color white). 1x Mounting bracket with screws.